A long time to be pregnant! 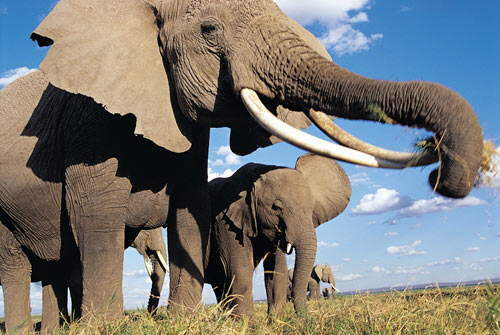 Elephants have the longest pregnancy in the animal kingdom at 22 months. The longest human pregnancy on record is 17 months, 11 days. 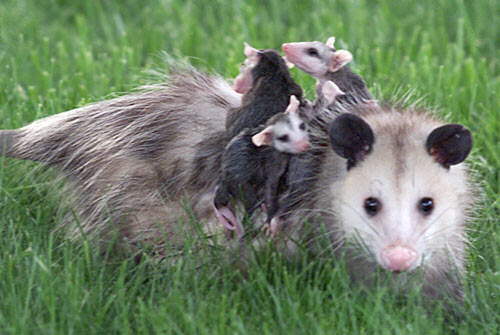 Possums have one of the shortest pregnancies at 16 days. The shortest human pregnancy to produce a healthy baby was 22 weeks, 6 days -- the baby was the length of a ballpoint pen. 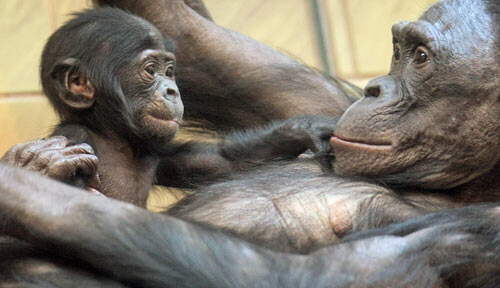 Chimpanzees have the longest childhoods (apart from humans), staying with their mothers for up to 7 years. These days human children have been taking longer and longer to leave home -- with more than 50% of adults under 24 still living with mom and dad. In 2006, the phenomenon was so big that it became the premise for a Hollywood movie called "Failure to Launch." 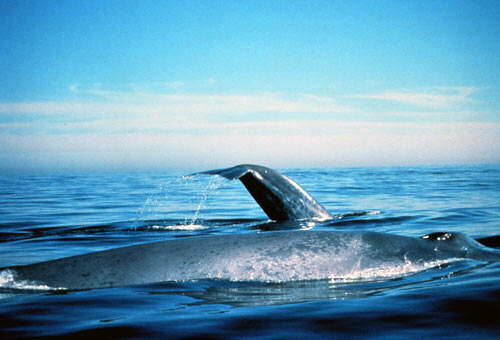 Whale Calves nurse for 7 to 8 months and are weaned when they reach 52 feet (16 m) in length. 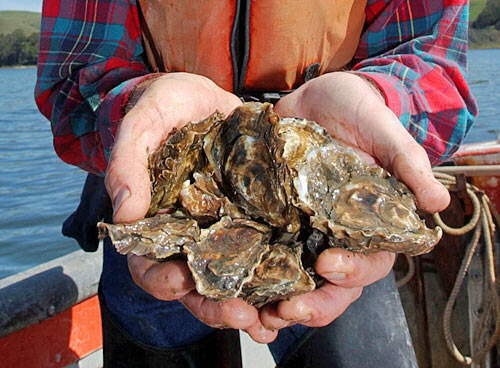 At that time they weigh about 23 tons (20,900 kg). During the nursing period, calves consume 100 gallons of the fat-rich mother's milk each day. By comparison, human babies consume a little over 3 cups of their mother's milk on a daily basis. 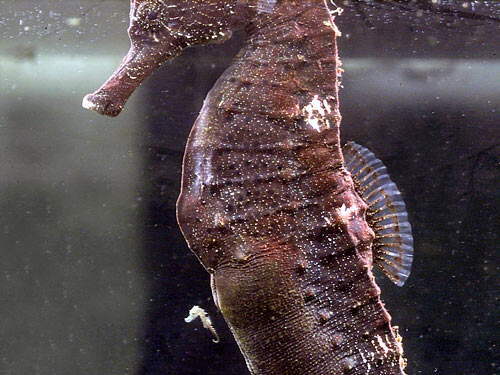 Male seahorses can actually give birth to offspring. While this is normally impossible for human beings, Thomas Beatie, who had his gender legally changed from female to male, is currently the world's first pregnant man. 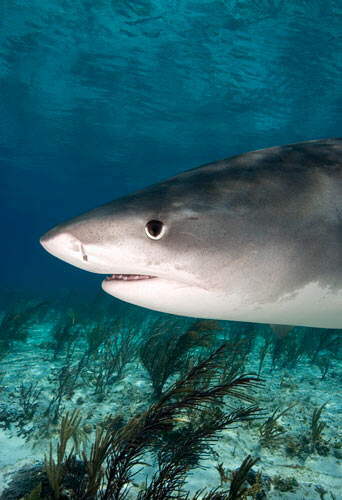 Tiger sharks can have anywhere from 10 to 80 young in one birth. The largest number of human children that have survived from one birth are the McCaughey septuplets (in birth order, Kenneth Robert, Alexis May, Natalie Sue, Kelsey Ann, Nathan Roy, Brandon James, Joel Steven), who were born in Des Moines, IA in 1997. 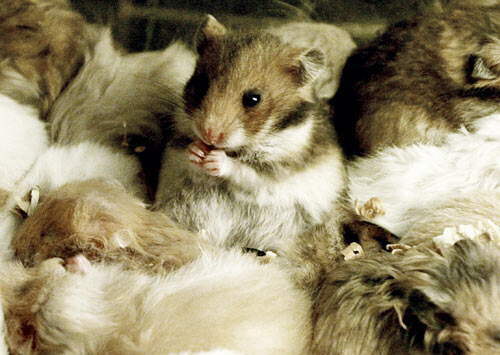 All pet hamsters are descended from a single female wild golden hamster found with a litter of 12 young in Syria in 1930. Inbreeding in humans significantly increases the chances of genetic defects, and is widely shunned. However, marrying aunts, uncles and cousins is still very common among European royal families -- even the Queen of England and her husband Phillip are second cousins once removed. 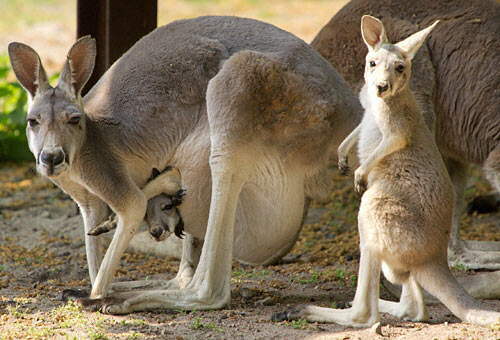 Kangaroos have two wombs. 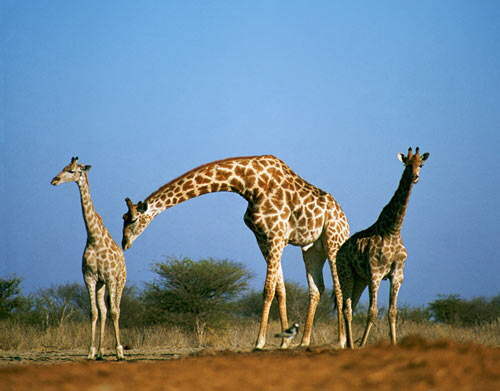 While rare, this does occur in humans -- and there have been cases of mothers with two wombs giving birth to triplets..
Giraffes are born with the mother standing up, on the lookout for predators. That means a long drop of 5 to 7 feet to the ground -- long enough to break the baby's umbilical cord. Ancient drawings show human women giving birth standing up as well, and contemporary mothers interested in natural birth sometimes opt for this position (though there's always someone there to catch the baby! ).